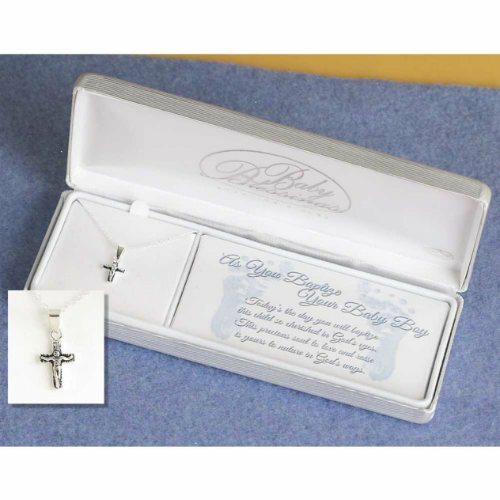 This adorable sterling silver Baby Blessings necklace on a 13" chain is the perfect new baby, Baptism or Christening gift for a baby boy! this child so cherished in God's eyes. is yours to nurture in God's ways. 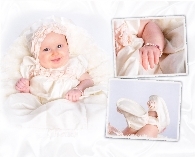 Precious baby baptism rosary bracelet created with freshwater pearls, Swarovski crystals and a sterling silver cross. 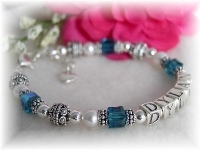 Personalized with sterling silver letter initials.